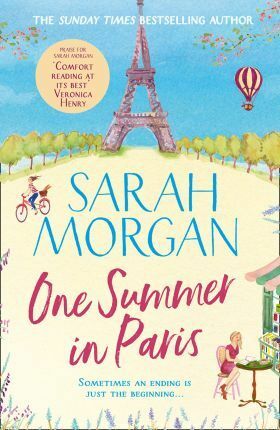 The next unmissable summer read from Sunday Times bestseller Sarah Morgan! Grace can't believe it when her husband of twenty-five years announces he doesn't want to join her on their anniversary trip to Paris - instead, he wants a divorce. Reeling from the shock, Grace makes the bold decision to go on this holiday of a lifetime alone. Your favourite authors love One Summer in Paris! Real readers have fallen for One Summer in Paris! YOUR FAVOURITE AUTHORS LOVE SARAH MORGAN!